I made this cake on a bit of a whim after noticing some forlorn looking oranges sitting neglected in the fruit bowl at home. Whilst I love orange juice, I’m not a fan of eating oranges. Mainly because I find the whole process too messy and sticky. I mean, why is it that even if you are really careful when eating oranges you still end up with some spot that hours later is sticking to everything? 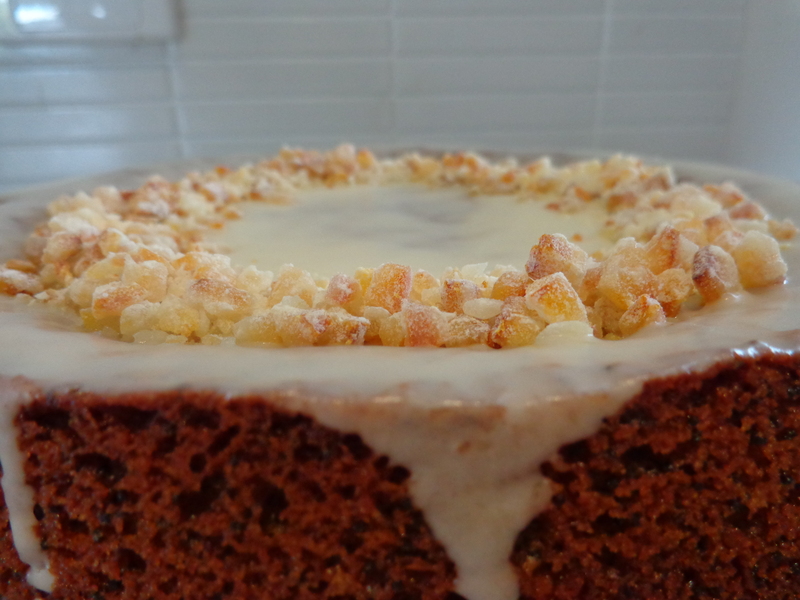 The cake is moist and dense and distinctly ‘orange-y’, perfect for afternoon tea. I have topped it with an orange glaze and candied orange peel which gives a great distinction between the soft cake and chewy orange peel.